And President Barack Hussein Obama has finally thrown Israel under the bus. Soon he and his Muslim masters will be able to kill every Jew in Israel. (And possibly the world.) All he has to do is lift the sanctions on Iran. 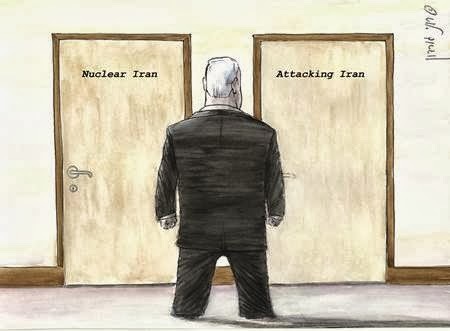 Israel is the only American ally to receive prior warning of this decision – and the only one to be briefed in detail of the understandings Washington has reached with Tehran, including Iran’s concessions on its nuclear program. Neither European, nor Persian Gulf leaders led by Saudi Arabia have been let in on the scale of reciprocal concessions approved by Obama and Iran’s supreme leader Ayatollah Ali Khamenei. These concessions will start coming to light when they are put on the table of the nuclear negotiations beginning in Geneva on Oct. 15 between Iran and the P5+1 group (five Security Council permanent members and Germany). Meanwhile, high-ranking British, French and other European emissaries arrived in Jerusalem Thursday night. They said they were coming to discuss the latest developments on the Iranian question, but their real purpose was to discover the content of Obama’s message to the Israeli prime minister. A high-placed American source told debkafile early Thursday: “The American-Iranian cake is already in the oven and half done. In its next issue, out this coming Friday, DEBKA Weekly divulges in detail the content of the understandings reached between Washington and Tehran, how they were handled and the live wires acting as liaison in the secret exchanges. Exclusive articles will also discuss the strategic, political and military ramifications of the deals struck between Washington and Tehran. Linked at BadBlue, uncensored news 24/7 – read it here. No real surprise with Kerry wife’s family living in Iran. Then we have Iranian born Valerie Jarrett. Normal procedures would have had Kerry disqualified as a security risk due to threat of blackmail. Disgusting news. I’m actually not surprised … but it isn’t stopping me from screaming at the top of my lungs …!